Sycamore Chrysler Dodge Jeep Ram features the latest manufacturer offers and incentives on all new Chrysler, Dodge, Jeep, and RAM vehicles. Discover which offers are best for you and drive off in a new car today. Shopping for a vehicle should be enjoyable and exciting – not stressful and exhausting. If you know where to go for a great selection, low prices, and unmatched customer service, then your experience is sure to be the former. For drivers in DeKalb County, IL, the choice of where to go for this kind of dealership experience is simple: Sycamore Chrysler Dodge Jeep RAM. We are conveniently located in the heart of Sycamore, just a short drive from Elgin, Rockford, and all parts of Northern Illinois. And we’ve got the vehicle selection that will make it well worth a visit. Maybe you’re shopping for a brand-new Chrysler 300S to provide an elegant mode of daily transportation, a Dodge Caravan for your family travels, a Jeep Wrangler for off-road adventures, or a RAM truck to tackle heavy hauling needs. We’ve got all of them and more in stock and waiting for you at Sycamore CDJR! If a used vehicle is what you’re after, you’ll be happy to know that our dealership stocks a wide selection of high-quality pre-owned vehicles from a diverse array of automakers. Find fantastic used offerings from our signature brands as well as selections from popular manufacturers like Chevrolet, Honda, Dodge, and more. Once you’ve spotted a few vehicles that you’d like to take a closer look at, hurry in to see them in person and get behind the wheel for a test drive. With our great selection and team of helpful associates here to answer your questions and offer guidance, you’re sure to find exactly what you’re looking for at Sycamore CDJR! Price is a prime consideration in any car buying endeavor. At our dealership, you’ll discover some amazing prices right from the start. As you browse our inventory – either online or in person – you’ll be impressed to see some incredible values on all of our new and used vehicles. But those low sticker prices are just the start. Savings at Sycamore CDJR incorporate everything from factory incentives to special lease offers, low-interest loans and finance plans, and good old-fashioned discounts on models in our rotating inventory of featured vehicles. No matter what you’re shopping for, the savings you’ll get when you buy or lease from us are more than enough to show you why so many Illinois shoppers are sold on Sycamore. Our goal at Sycamore CDJR is for you to enjoy the car buying process, from the moment you step onto our lot until the moment you drive away behind the wheel of the bargain-priced vehicle you purchased here. Even after that, we’ll continue to provide exceptional customer service through our top-notch auto care facility, which offers expert repair and maintenance services at budget-friendly prices. 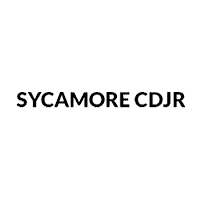 One visit to Sycamore CDJR will be all it takes for you to become one of our valued customers for life. Let us show you how easy, stress-free, and exciting the car buying experience can be. We look forward to helping you find your dream car!